A random game idea on Sunday, with a totally random name, and then a shock co-incidence when Monday turned out to be Roger Hargreaves' birthday, and the Mr Men ended up being plastered all over Google! I couldn't have planned that.. I'm far too lazy to have planned that! 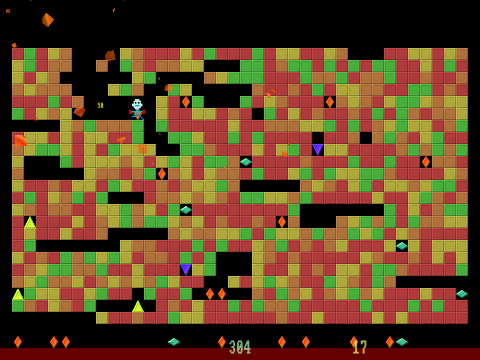 A nice simple block-smashing droppy man thing type of game. Think Mr Driller, but slightly slower. Here, instead of just aiming for the bottom, you should try to aim for the best score. The titlescreen's highscore graph's there, as always, to let you see how you've done. 1. The bigger the group you smash, the more points you get. 2. The more Bashes you have remaining, the more points you get. 3. If you land on a gem at the bottom, it gives super points. 1. The Green gem's worth more. 2. The Yellow gem gives more Bashes. 3. The Blue gem gives you a super-bash, which turns the next bashes into Red Gems. There are five modes to choose from, and each has five levels. The levels are randomly generated, but I figured it'd be more.. um.. highscore based..?... if the levels were cut short a bit, so I've done that. If you'd prefer, instead, to have 100,000,000,000 level sets, let me know. 'cos I can do that, just by flipping the switch! 1. Normal - lots of bulky blocks, makes it easy to bash loads with one bash. 2. Less Bashes - Gives you only 5 bashes to start with. Grab those yellow bash-boosters! 3. More Colours - Hardly any groups at all. It's all about your bashing. 4. Avoid Reds - Much harder than it oughta be! Don't bash any red ones. 5. Random - Just a random set, no additional rules. If a fix is wanted, let me know. 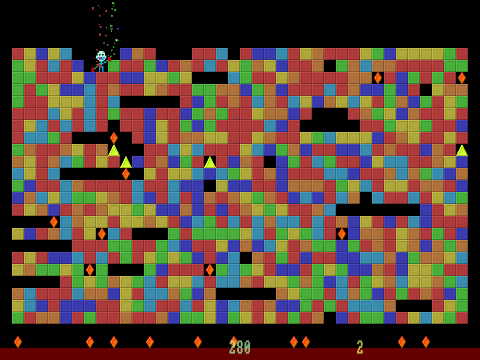 You can Download Mister Smash here for Windows and Mac. If anyone has a spare PC with Linux already installed, send it my way, because at this point it doesn't look like I'll be fixing Ubuntu any time soon!!! Lazy Jay strikes again! 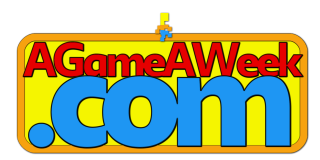 AGAW Scoring : 30 weeks, 24 downloads, 48 games.